Pool tables are the most expensive pieces of equipment you can buy for your gameroom. They can easily run you several thousand dollars, so it’s important to make the right decision when you shop for one! 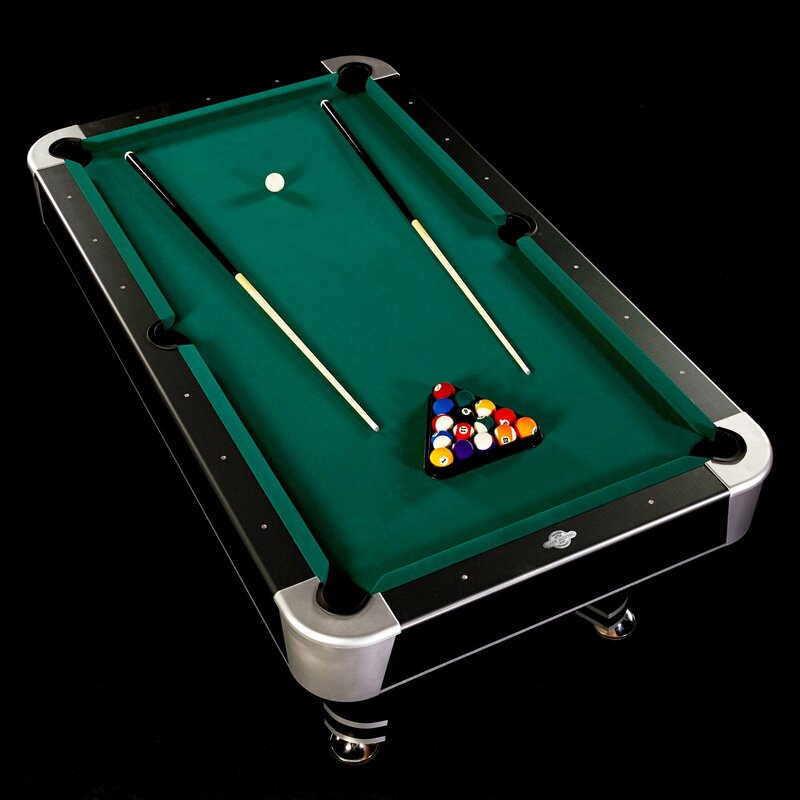 You want to be absolutely sure you’re buying something made by a reputable brand with years of experience making high-quality billiards equipment. By the same token, when you’re trying to find an inexpensive pool table, it’s extremely hard to tell which are the budget gems and which are just cheap garbage. We’ve put this guide together to help you navigate your options and make a solid investment in your new pool table. 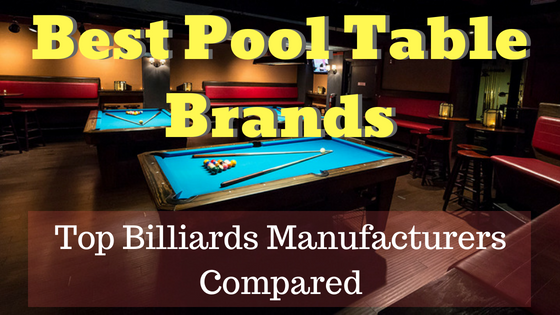 Below, we’ve collected our favorite pool tables and brands to show you. You’ll find several budget alternatives, as well as the very best of the high-end options. Read on to find your new gameroom centerpiece! This Hathaway Fairmont table is our recommendation to anyone who doesn’t have dedicated space for a pool table in their gameroom. It’s far, far better than the cheap tabletop models and folds conveniently away when you’re done playing. It’s not full-size, but it gives a much more realistic playing experience than tabletop ultra-compacts. We think it’s ideal for tight spaces and for teaching kids to play billiards. 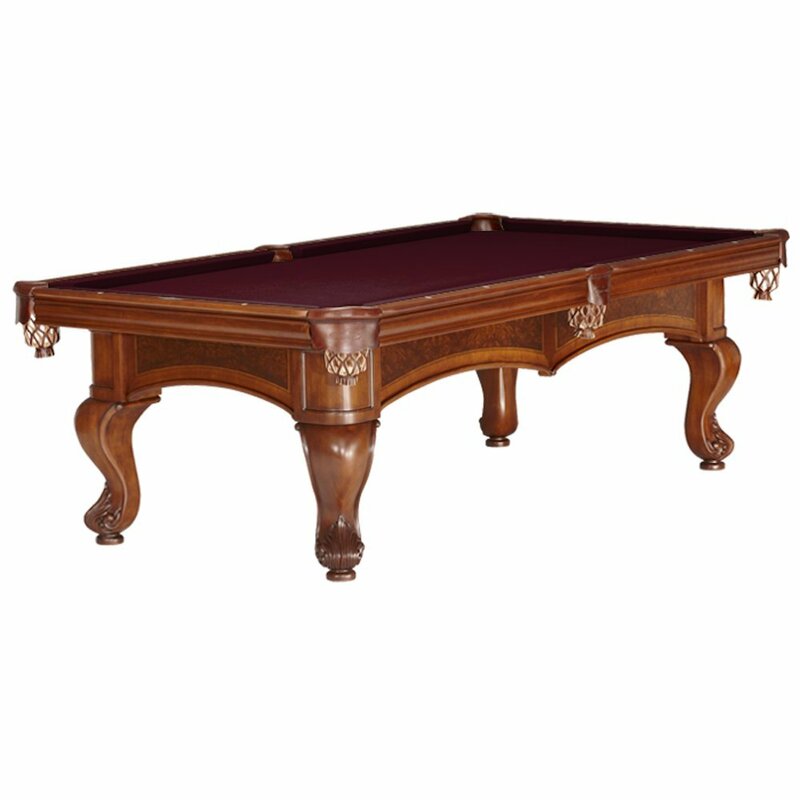 This Lancaster table is our budget recommendation for anyone who wants a dedicated pool table without shelling out several grand for a slate model. It’s good for casual players and families who don’t demand premium performance. While it doesn’t roll quite as true as a slate table, we still think it’s nice to play on–especially for the price point. Just don’t expect it to last forever, or to be satisfying to experienced, advanced players. 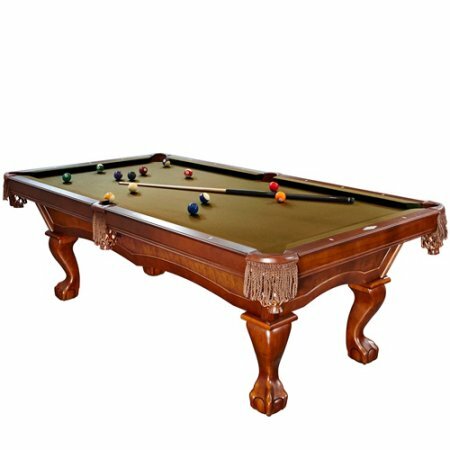 This Imperial table is our recommendation to folks who want to take their billiards game outside. It’s solid, rugged, and weatherproof. While the surface fabric and composite material don’t feel quite like slate and felt, they play very well and we don’t have any complaints about the trueness of the surface. If you’re trying to save space indoors or simply want to kit out a deck as a gameroom, this is a great choice. 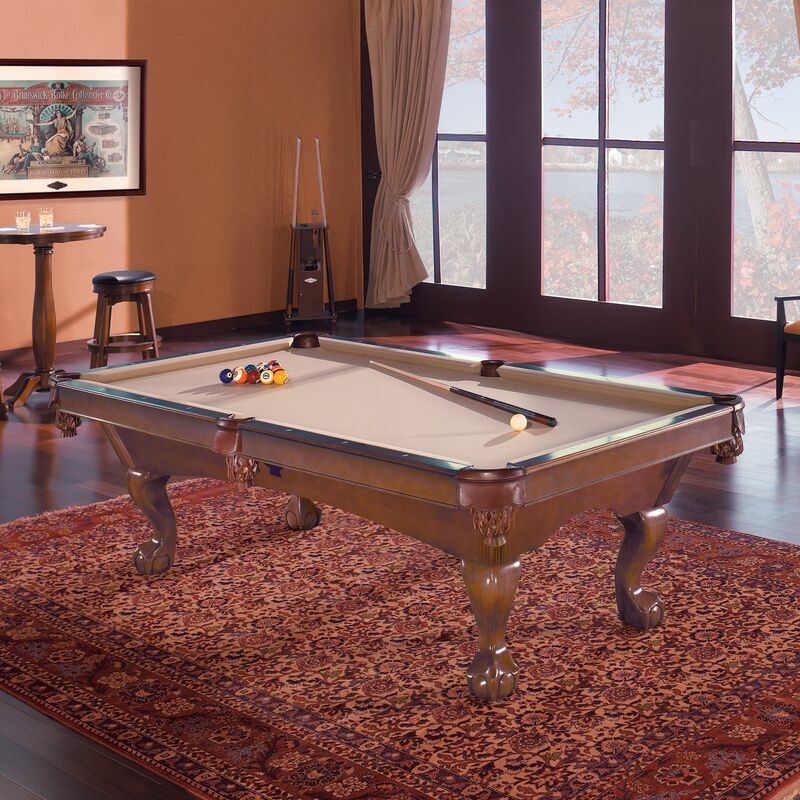 Brunswick is our go-to brand when it comes to high-end pool tables. There’s a reason they’re still the best-known manufacturer of premium slate surfaces, even after a century and a half in the business! They have an impeccable reputation for quality and precision. We haven’t found anything more enjoyable to play on, or a brand with a better range of fit and finish options. There’s a Brunswick for every aesthetic and they all play superbly. This Glen Oaks table is a classic, as far as billiards aesthetics go. It’s fitted out with a solid wood cabinet and elegant, carved legs. While it’s not over the top, there’s enough visual interest to make it a perfect centerpiece for a gameroom. Go for this one if you want to keep it classic and classy! Of course, it’s not all about looks! 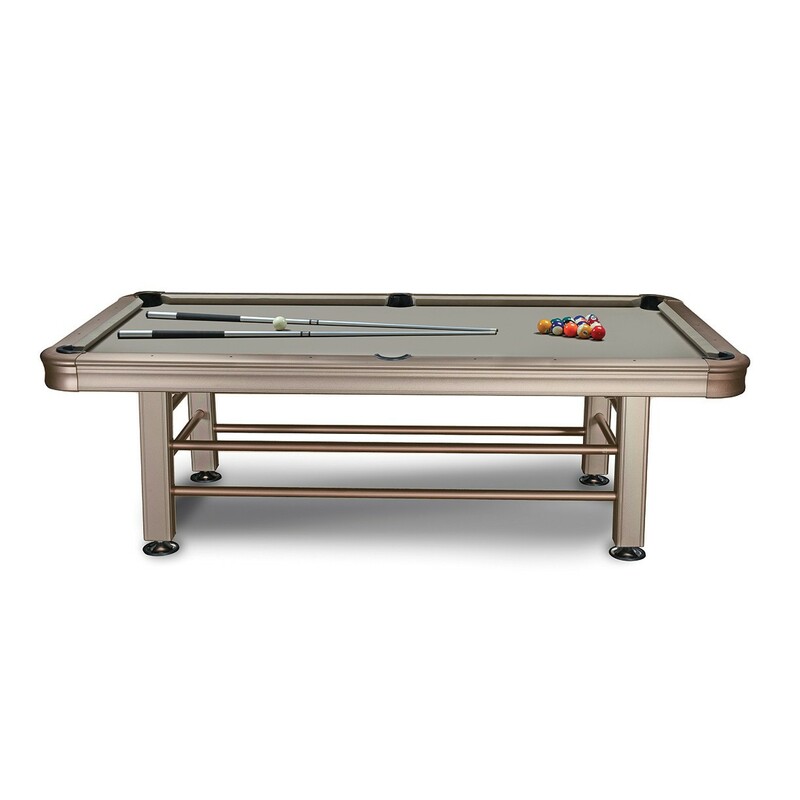 The Glen Oaks is everything you expect from a high-end pool table. It has a perfectly-engineered slate surface, high-grade felt, steel fastening and torque bolts to keep everything aligned for years, and solid wood rails. Play on this is smooth, repeatable, and good enough for the most skilful players. Everything’s covered by a lifetime warranty, too. While you’ll have to drop $3K to get one of these, you’re making a solid investment in your gameroom. The Brunswick Danbury is a good alternative to the Glen Oaks for someone who wants something that makes a little more of a statement. It has elegant leather tasseling and ball pockets that make it feel like something you’d see in a British Imperial lounge, or any 1800’s-inspired room. The slate, felt, and cabinetry are equivalent to the Glen Oaks, which is to say, outstanding. The Brunswick Black Wolf is our high-end suggestion to anyone who wants to match a contemporary look and feel in their game room. It’s hard to find something that plays this well without going for a classic wood cabinet, which is why we appreciate that Brunswick have put out the Black Wolf. It offers timeless play feel and quality without dating your decor at all. Which of the pool tables shown above should you buy? If you’re on a tight budget and aren’t set on having a slate playing surface, go for either the Hathaway Fairmont or the Lancaster. They’re both good choices for inexpensive family fun and for teaching the game to kids. Don’t expect them to last forever, though. They also don’t play like slate surfaces. For anyone who wants to play pool outside, we suggest the Imperial. It’s not a slate surface, but it’s as close as you can get in a weatherproof package. If you’re an experienced player looking to invest in a premium slate table, your choice is between the three Brunswick models above. All of them play brilliantly and ought to last for a lifetime (and are guaranteed to). The difference is mainly aesthetic. The Glen Oaks is the best choice for folks who want an elegant, all-wood look. The Danbury is a better choice for anyone going for a more period, Imperial aesthetic. Finally, the Black Wolf is by far the best for contemporary decor. As you’ve seen from the recommendations above, there’s an incredibly wide range of options out there. You can grab a cheap pool table for under $500, or spend $3000+ for something high-end. Decide how much you can afford to spend before you start shopping. Knowing your budget will help you narrow down your options. The biggest difference between affordable tables and high-end models is the playing surface. All premium pool tables use a slate layer under the felt. The best use a single sheet across the whole board, while some of the less exorbitant models use 3-piece slates. You won’t find anything with a quality slate playing surface under $3000, so know whether that’s important to you up front! If you’re playing casually at home, or teaching kids to play, you can do very well with a $500 table that has a plywood play surface. Any serious, experienced players should plan on investing in a slate model. While the playing surface is by far the most important feature of a pool table, you should also consider the fact that a pool table is usually the centerpiece of a gameroom. These are big pieces of equipment, and they’ll often be used for decades. That’s why you want to think carefully about how you want your pool table to look before you buy. Pool tables are a legacy product, in that the high-end manufacturers have been making quality equipment for decades (if not a century!). The manufacturing process required to produce high-quality billiards slate is very complicated and precise, so you don’t want to take chances and drop several grand on a company that doesn’t have a solid reputation behind them. As far as we’re concerned, Brunswick is the best of the premium manufacturers. There are several other companies competing at this level, but Brunswick has the best reputation for customer service, durability, and quality control. If you’re going to drop $3K+ on a high-end pool table, you should expect a few things as standard: a slate play surface, solid wood cabinetry, and a lifetime warranty. Any reputable manufacturer will offer lifetime coverage on a $3K pool table, so don’t even consider models or brands which don’t list that up front! 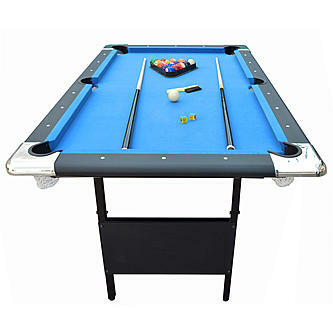 To check current prices or find out more about any of the pool tables you’ve seen here, click on the links in our reviews. You might also have a look at Amazon’s best-selling pool tables, to see how our picks stack up to the competition. We’ve got all your gameroom needs covered with guides to the best pool cues, dart boards, and much more! Head over to our homepage to find all our latest content.